The Royal Marines are a highly specialised infantry force, trained to deal with a wide range of threats across the globe as part of the UK’s rapid reaction force. 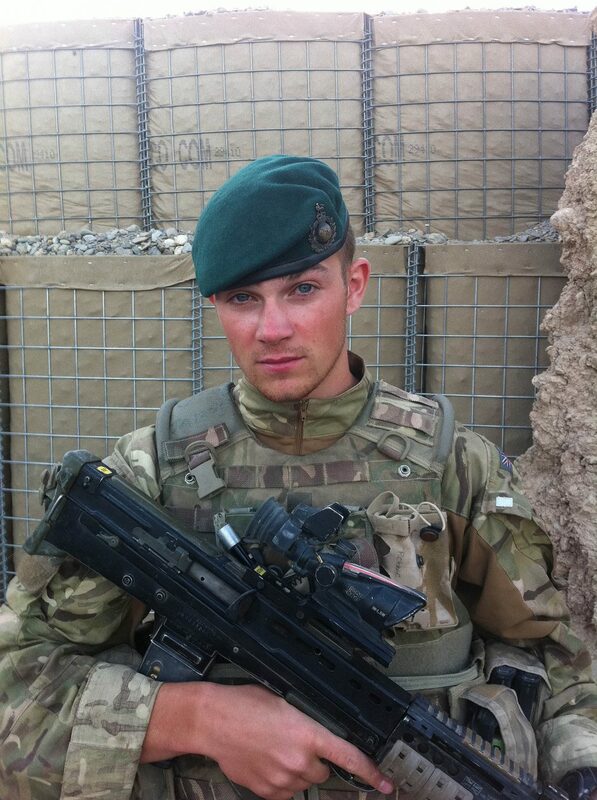 In recent years, the Royal Marines have played a leading role in the war in Afghanistan. Here, former Royal Marine Commando Robert Jacomb recounts 24 hours from his tour of Afghanistan and how using haemostatic gauzes helped him to stabilise several injured comrades. J company of 42 Commando, is one of the three Royal Marines commando units and considered to be made up of some of the world’s finest combat fighters. It is for this reason that, in 2006, 42 Commando was first deployed as part of Operation Herrick, an initiative from NATO to stabilise Afghanistan against the Taliban and bring security to the region. During the operation, the Marines engaged in frequent firefights with Taliban forces and were responsible for the protection and monitoring of strategic areas. In addition to participating in direct combat, marines like Robert Jacomb had to lead patrols to uncover improvised explosive devices (IEDs) and safely guide troops across treacherous terrain. It was in 2011 that former marine Jacomb was caught in the thick of two incidents in just under 24 hours. While scouring the area with a metal detector, a fellow patrol nearby was hit by a bomb resulting in multiple casualties. While two men’s lives were lost from the blast, former marine Jacomb was able to speedily lead his team to the affected area to help any survivors. One of the leading causes of preventable battlefield death is blood loss from extremity wounds. Traditionally, the lightweight medical kits supplied to those on operation just contained pressure dressings, which depending on the severity of the wound could be applied by the injured soldier or marine themselves. Medical kits have since evolved and now feature a haemostatic gauze like Celox, which can treat life-threatening bleeding fast1, without the need for a tourniquet. Celox chitosan-coated gauze creates a gel-like plug independently of the body’s natural clotting mechanism, that seals over the point of bleeding and stops further blood loss. Time is critical when treating injuries in the field and on dangerous mission’s teams need to be equipped with the most effective tools and technologies, like Celox Rapid. It was with Celox that former marine Jacomb was able to stop the heavy bleeding of his injured comrades and attempt to stabilise the casualties long enough for a helicopter to arrive and evacuate them. In situations like this, many of us would not consider the potential dangers of setting out on a rescue mission. Having Celox Rapid in your kit offers some reassurance to people like former marine Jacomb that they can do their best to save their fellow comrades and friends so that everyone can go home. Without an effective haemostatic gauze on hand to provide fast haemorrhage control, former marine Jacomb’s bravery may not have been enough to help save the lives that he did. Hoggarth A et al. (2011). Testing a new gauze hemostat with reduced treatment time. Poster at ATACCC, Ft Lauderdale, August 2011.